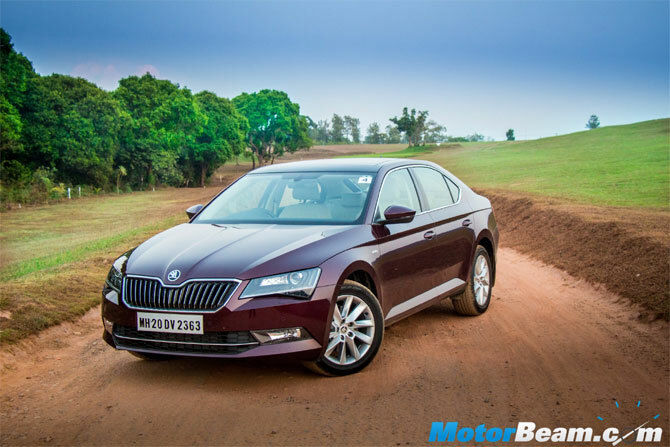 The Skoda Superb is a battle hardened old war-horse in the D2 sedan segment, which is currently under lot of pressure from entry-level luxury cars by the German trio and the general preference for big SUVs like the Toyota Fortuner. Here is a complete review of the Czech behemoth to see whether the latest car can still win the hearts of those who like to be driven around and look good at the same time. 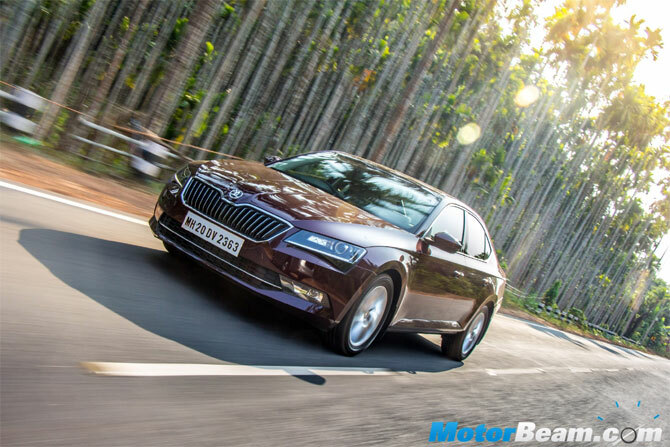 The third generation Skoda Octavia has a radically different styling than the outgoing car. The modern Skoda design language has given the car a sharp look with extreme cuts and minimalistic light flow. Tastefully used chrome elements and muscular lines do warrant a second look and one might even mistake it for a certain premium luxury German car if you hide the logo. The new Superb is longer and wider than the outgoing car. 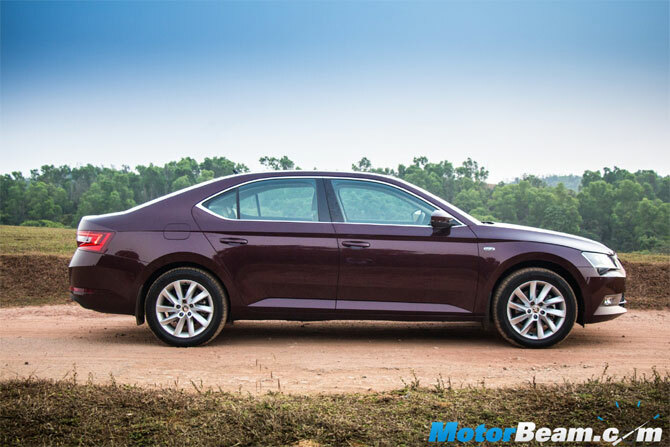 The 2016 Superb gets spectacular looking multi-spoke 17-inch alloys and is very well proportioned unlike the previous Superb that had inconsistent proportions. 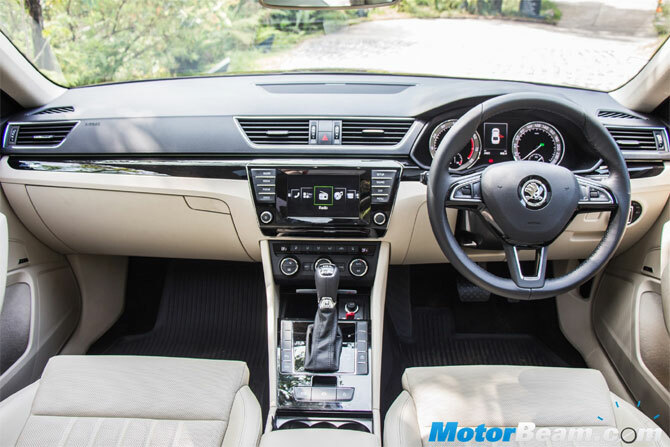 The 2016 Superb has completely new interiors, with the the simple yet minimalistic styling continuing inside as well. Keen eyed people may find some elements in the centre console looking familiar to that of the Octavia though. The quality of switches and fit and finish of various panels is excellent with judicious use of chrome. The infotainment has a large 6.5-inch touchscreen with a plethora of connectivity options and the Canton audio system that has 12-speakers including a central speaker and a subwoofer. Dual-zone climate control system with front seats ventilation feature and 12-way electrically adjustable front seats are some of the notable features of the car. 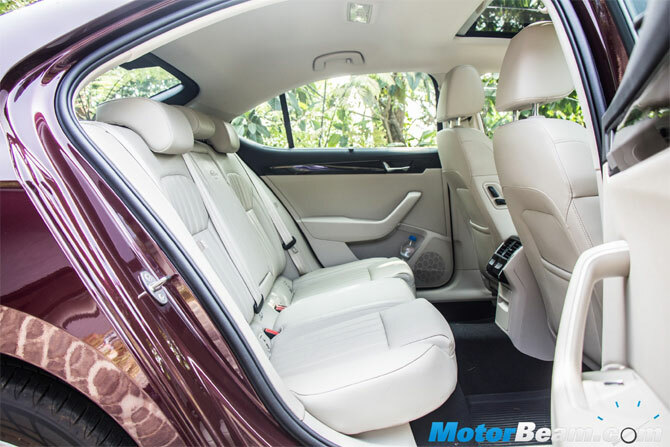 No Skoda Superb review is complete without mentioning the rear bench and its features. There is huge amount of space on offer and even 7-footers won’t complain about it. Dedicated third-zone climatic control, roll up sun visors for rear windows and windscreen, perforated leather upholstery and panoramic sunroof adds to an already spectacular ambience. Special mention goes to the classy Skoda umbrella which has been tucked inside the door. 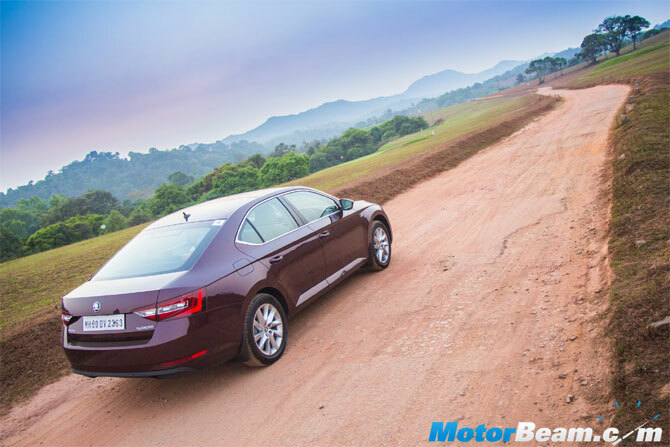 The new Superb is powered by the 2.0-litre diesel and 1.8-litre TSI petrol engine options of the Volkswagen family. We got to test the petrol powered version which makes 180 PS of power and 250 Nm of torque. The entire rev range is silky smooth and never does the engine feels strained or overworked. Push the accelerator furthermore and you will be rewarded with a sporty note from the exhaust. The engine is mated to the superstar 7-speed dual-clutch DSG gearbox which shifts faster than you can say ‘Superb’. 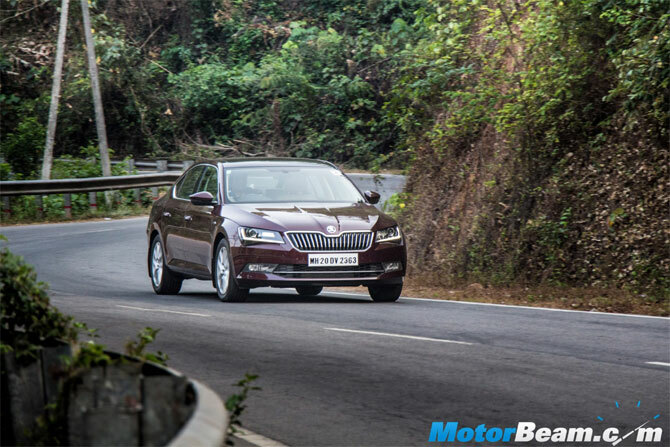 German cars are known for their well engineered ride and handling balance and same is the case here, with the Skoda Superb just floating over rough edges and potholes with fantastic damping that keeps away the clunks. 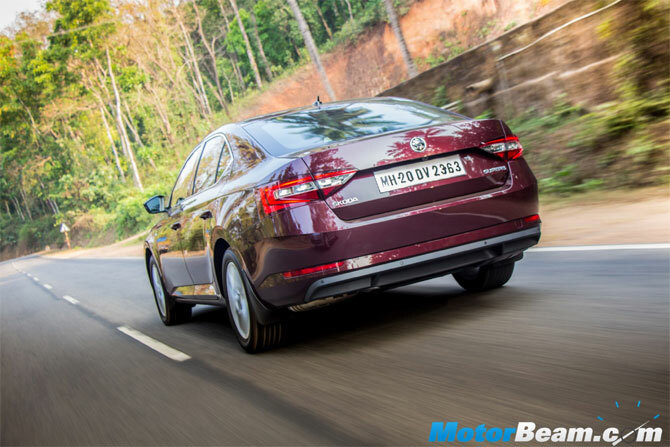 The Skoda Superb is a complete package which ticks all the right boxes to become the most competent and luxurious car without having a German badge. The only chink in the Czech car’s armour is the ill-reputed Skoda after-sales and service network, which the carmaker is believed to be working actively to improve.